Our healthcare providers plan and prepare nutritious and delicious meals according to your specific diet plan. When it comes to your overall health, we at F.A.B. 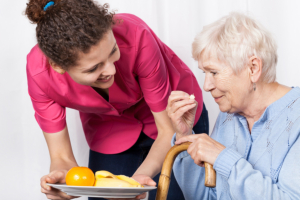 LLC Homecare Services strive to give you nothing but the care you deserve. This is why we make sure that the meals we prepare for you are specifically recommended by your physician so you will have the needed nutrients in your body. You do not have to worry about the taste because every food we serve will surely satisfy your preferences. To know more about this service, please feel free to contact us at your most convenient time.